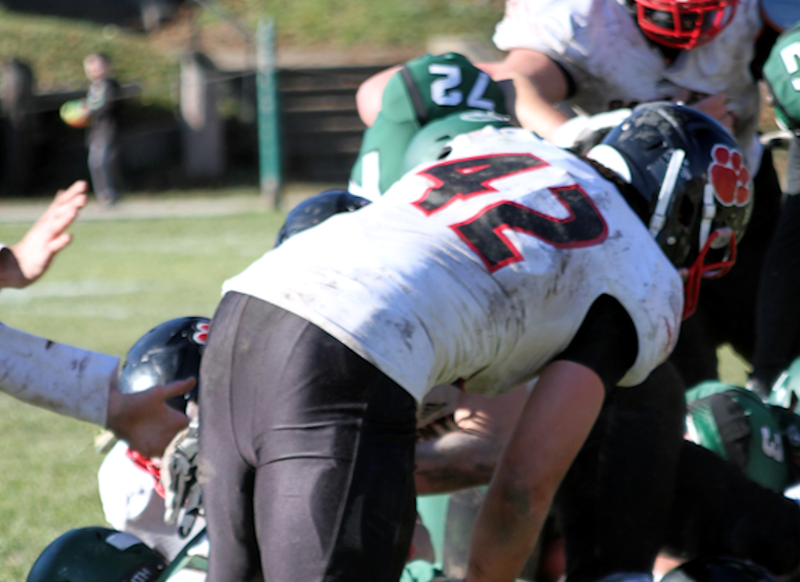 Senior Mike Connors is a force in the middle of the field for the Panthers defense. Standing at 6-foot-2 and 230 pounds, Whitman-Hanson Regional High middle linebacker and senior captain Mike Connors is a tall task for opposing offenses. The 2017 Patriot League All-Star is coming off a junior campaign in which he totaled a team-high 104 tackles, a sack and interception. “I would say he’s the leader of the defense,” W-H head coach Mike Driscoll said. But it’s what he does when nobody is watching, but himself, that keys his success. During the offseason, Connors is in the weight room five days a week and when the season rolls around he makes an attempt to get in three to four days a week. In the lead up to game days, Connors goes above and beyond just hitting the weight room and attending practice. “I watch hours of film, every day of the week and I take pride in learning what their offense is so I can fly to the ball every snap,” Connors said. Driscoll said Connors’ constant commitment to the sport has allowed him to excel on the field. Driscoll pointed to four of many contests last season where Connors’ studying paid dividends. “[In] the Hingham and Stoughton games he was huge for us,” Driscoll said. “He played really, really well against Duxbury too and was a force in the middle there. While Driscoll is thrilled to have Connors back, he couldn’t be more ecstatic to be at his post for his third and final season for the Panthers. Connors added he’s not at all concerned about replicating last fall’s stats.